As incredibly sad news broke that Bobbi Kristina Brown has died at age 22, there was an outpouring of grief on social media as fans mourned the tragic loss of a tremendous young woman who was taken from us too soon. Brown passed away in hospice care in Duluth, Georgia, where she was admitted June 24 after having spent the last several months in a coma and fighting for her life in the hospital. Many Twitter reactions to Brown's death wished peace to Brown, and offered condolences, love, and support to her family. Others commented that Brown could finally rest in peace with her mother Whitney Houston, who passed away in 2012 when Brown was just a teenager — a loss she would never get over. But while many fans found solace together on social media remembering the positive parts of Brown's life, there was another narrative taking place on Twitter that seemed misplaced: commenters used the opportunity to speculate about how Bobbi Kristina died, and the role drugs may have played. To be clear, there are many circumstances surrounding Brown's death that we don't know. 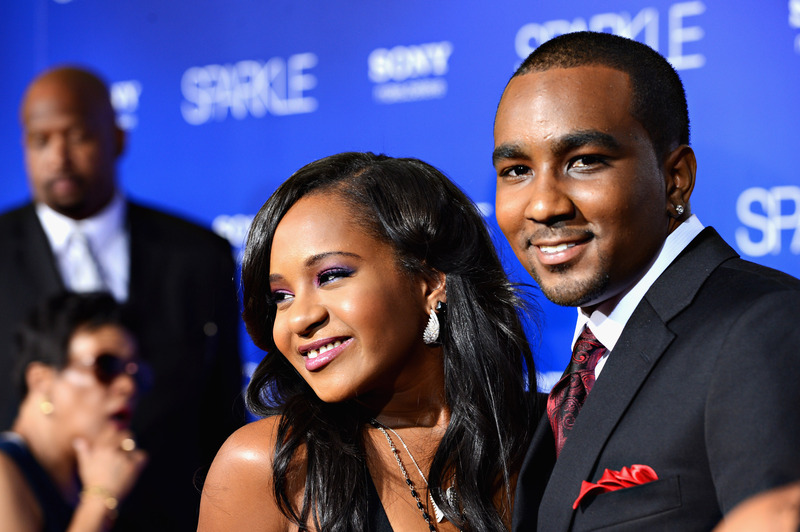 On Jan. 31, Brown was rushed to the hospital after her partner Nick Gordon and a friend found her unconscious and unresponsive in a bathtub in her Georgia home. Although Brown was placed in a medically induced coma, the exact reason behind Brown's hospitalization remains unclear, and the cause of her death is still being investigated. In a statement made after Brown was moved into hospice care earlier this summer, Brown's co-guardian Pat Houston said that Bobbi Kristina's condition continued to deteriorate, and that she was "in God's hands now." And yet, with no solid answers, it didn't take long before people on Twitter pointed to Brown's alleged troubled history with substance abuse. It's true that during her life and following her mother's death, rumors of Brown's struggle with substance abuse were constant news items, with sources reporting that Brown had spent time in and out of rehab for drugs and alcohol. But to mention these reports now while fans — and more importantly, Brown's family — are still processing the terrible and tragic news of a beautiful life lost too soon seems misplaced, insensitive, and wildly tone deaf. Brown lived a turbulent life, yes, but she was also a talented, vibrant young woman with dreams of becoming a singer, and she had great love for her family. Of course, there is room to open up a conversation about the devastating impacts drugs, depression, and addiction can have, and we certainly should have that conversation, if it might help to save another life down the road. But if we are going to have that talk, especially now in light of recent news, we need to adjust our focus and discuss how to help others currently going through similarly hard times. To do anything otherwise is simply unproductive. Any life cut short is a tragedy, and we should remember Brown for the happiness she brought to others. Her life was short, but rich, and we should be celebrating Bobbi Kristina's legacy — not speculating about her death.